What Are The Best Hi Hat Cymbals? Taking into account both quality and price, these are by far some of the best hi hats available on the drum market. These cymbals deliver an incredible sound that is dark, warm and explosive. They have a refined tone and powerful character due to the extra hammering on the quality B10 bronze alloy. These hi hats are super responsive and have a premium, dry tone. The dark finish in addition to the extra hammering provides these cymbals with an earthy, complex and rich sound that works well with all musical styles. When these hi hats are played whilst they are closed, they deliver a tight, clean “chick” sound that is also mellow and low in pitch. When the hi hats are open, they have an explosive sound that is dark and powerful. The dark finish on these hi hats not only provides your drum set with a unique look, but it is also responsible for providing a premium, drier sustain that is a desirable quality found in sought-after cymbals. These hi hats are an absolute joy to play, and they have a really musical tone with a good level of attack, that also sits perfectly in the overall natural mix of the drum kit. The sound is great for pop, rock, hip-hop, fusion, funk, metal and many other popular styles of music! The Meinl Classic Custom Dark hi hat cymbals not only sound fantastic, but they also offer unbeatable value for the money. 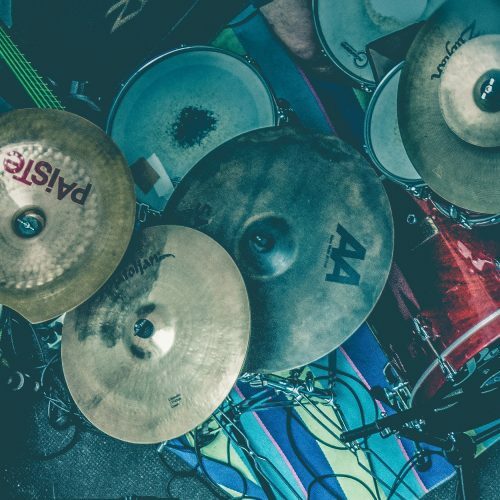 These are the best hi hat cymbals for the money and if you are looking for a professional set of hi hat cymbals at an affordable price then look no further! In second place we have a legendary set of hi hat cymbals, and in fact the best selling Zildjian hi hat cymbals of all time! These cymbals deliver an unmistakable rock-solid “chick” that is heard on countless hit selling records and played on festival stages around the world. These Zildjian A New Beat hi hats are quite simply the most versatile hi hat cymbals you can buy. They have a brilliant all-purpose sound that works well for a complete range of musical genres. They sound great for jazz, metal, pop, RnB and absolutely everything in between! The sound of these cymbals is bright, expressive, clean and rich. They have a medium weight and an excellent stick definition. The composition of these cymbals is a premium B20 bronze that Zildjian uses for all of their professional cymbal ranges. They are machine hammered and lathed to give the cymbal a smooth, pure sound. These cymbals are so versatile and they will sound great alongside any existing cymbal set up. You really can’t go wrong with these hi hats at all. These are well regarded as some of the best hi hat cymbals of all time. Up next on our list we have a pair of hi hats from the Swiss cymbal manufacturer Paiste. These cymbals are offered at an attractive price, yet they really do possess the clarity and premium tonal flavors of a far more expensive set of cymbals. The Paiste PST 7 hi hats have a bold and strong character, with a brilliant open sound. When they are played closed they have a clean and defined chick sound that is perfect for pop, rock and other contemporary musical styles. 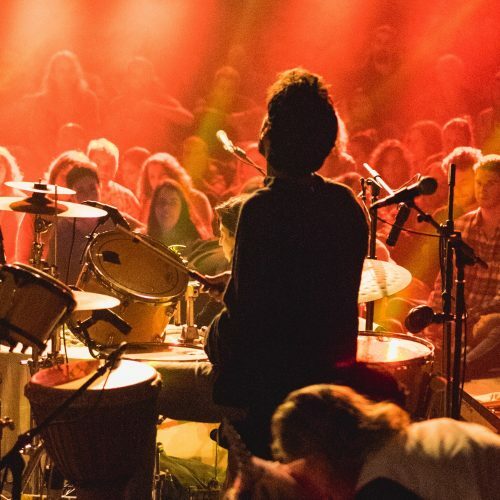 When played open, the hi hats sound energetic and bright. These cymbals have a wonderful tone and they are highly versatile. They are crafted from a unique CuSn8 bronze alloy that stems from the legendary 2002 series. These cymbals are lathed to a traditional finish for a distinctive and smooth tone. This is a fantastic set of hi hat cymbals that offers premium quality sounds at a highly affordable price. They are versatile and expressive, making them an excellent choice for both the professional and developing drummer alike. These cymbals are slightly more affordable than the Meinl Classics Custom Dark hi hats, and offer a brighter sound with increased sustain. With such great sounds, these are definitely some of the best hi hats available for the money. 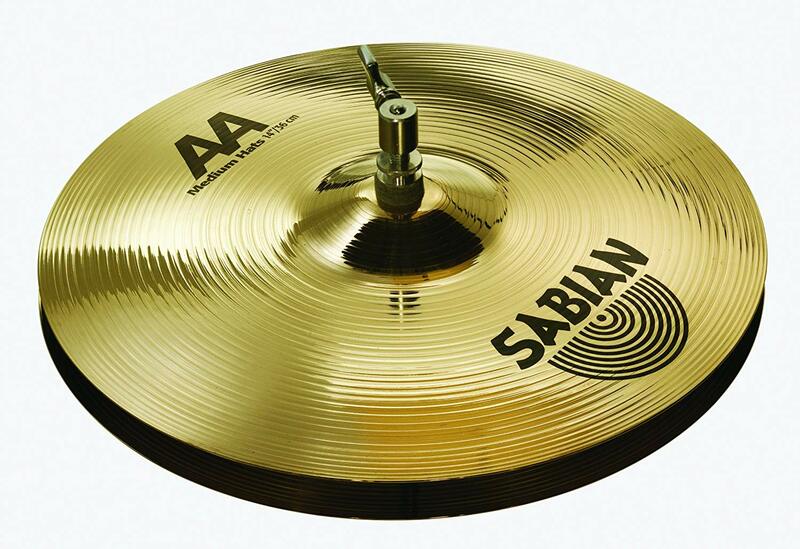 These professional hi hats produced by Sabian derive from their AA line of cymbals. 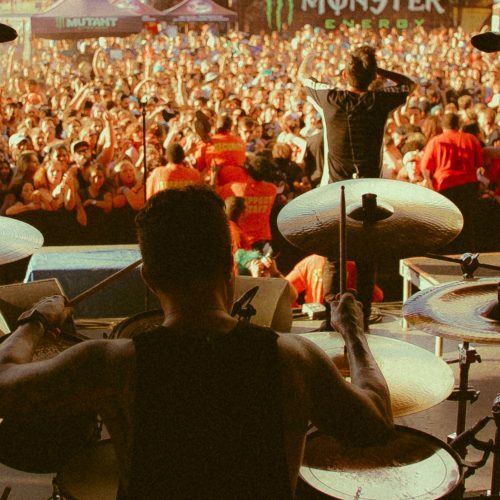 The AA cymbals possess a versatile and musical sound that is played by professional drummers around the world. The cymbals are forged from premium B20 bronze, and then lathed by craftsmen who make some of the finest cymbals on the planet. These cymbals are responsive and articulate whilst being expressive but not overly loud. They are very musical and will fit in easily amongst any existing cymbal set up. Playing on a set of Sabian AA hi hat cymbals is a lot of fun, because they provide such a satisfying stick definition that really brings grooves to life. There are no noisy or ringy overtones from the closed hi hats, and the open hi hats provide a washy yet musical sound. These are a premium set of cymbals that won’t require an upgrade. They blend in seamlessly to all musical styles and have a well-balanced presence within the drum set. If you are looking for the best hi hats for the money, these are an excellent choice for a person looking for a true professional set of B20 bronze cymbals. Lastly on our last we have a budget set of cymbals produced by Meinl. The HCS series is constructed of a brass alloy that, despite it’s price, sounds surprisingly good. Brass cymbals are traditionally of very poor quality, but Meinl has produced a set of brass cymbals that competes with other brand’s more expensive bronze beginner cymbals. These cymbals are designed for beginners and students, so they don’t compete with the other hi hat cymbals within this guide in terms of sound or quality. But these are the best budget hi hat cymbals available for the beginner. The Meinl HCS hi hat cymbals are manufactured in Germany in the same factory as the premium lines of cymbals, and they are offered with the same 2 year guarantee as a reflection of their quality. These cymbals deliver a good, crisp sounding “chick” when closed with a foot. When played with a stick whilst closed, they offer a clear sound without any unwanted overtones or buzzing. They are responsive cymbals that sound good for most musical styles. Although these cymbals don’t match the quality of mid-range or professional level cymbals, they do deliver a surprisingly decent sound for their budget price. They are durable and have a good tone that will help any beginner drummer find their feet behind the kit! Hi hat cymbals are the most frequently played cymbals within a drum set. They are one of the fundamental parts of the kit, and thus investing in a good quality pair of hi hats should be a priority when looking at purchasing or upgrading new cymbals. A clean, crisp “chick” sound when closing the hi hat pedal with your foot. A smooth, musical tone when playing open hi hats. Anything too shrill or piercingly loud is distracting and cheap sounding. A clear, defined drumstick response when playing closed hi hats with the tip of a drumstick. The pitch should not be too high, because this is reflective of cheap and poor quality cymbals. Weighted top and bottom hi hat cymbals, with a heavier bottom cymbal that helps provide a quick, defined attack. How Durable are Hi Hat Cymbals? In my 14 years of playing I have broken several drumheads and multiple crash and ride cymbals. But I have never broken a hi hat cymbal. I believe they are the most durable of all cymbal types, because of the way they are played and how affixed they are into place. I have friends in possession of hi hat cymbals that are over 50 years old. These are beautiful relics that have developed a patina (a natural coating over time), and this provides them with a dry, mellow tone. I believe that if you invest in a high quality set of cymbals, you will not ever need to replace or upgrade them unless you wish to. It is very uncommon to break hi hat cymbals. What are Most Hi Hats 14″ in Size? The most popular and widely available size for hi hats is 14” in diameter. This is widely regarded as the optimal size for hi hats to suit a wide range of musical styles from jazz to metal. The other two sizes that are fairly common are 13” and 15” hi hats. 13” hi hats are popular for auxiliary hi hats because they have a brighter and tighter sound as opposed to 14” hi hats. They are often described as having a ‘quicker’ sound because they are lighter and higher in pitch. 15” Hi hats are becoming increasingly popular. They have a darker tone and a lower pitch, and are ‘sloshier’ than 14” hi hats. They also have a little more power and volume than 14” cymbals due to their increase in size. Some people argue they are easier to play than 14” hi hats, because they are larger and therefore slightly closer to you whilst playing. Most drummers will agree that 14” hi hats are the best hi hats for versatility and have a good balance of a quick, tight sound and a lower, defined pitch. What are Auxiliary Hi Hats? Auxiliary hi hats are a secondary pair of hi hats that exist within a drum set. The main set of hi hats are operated by foot and are found on almost every drum set. But auxiliary hi hats are played by drummers that wish to expand their existing setup and diversify their sounds. Auxiliary hi hats are generally set up on the other side of the drum set, to be played ‘open handed’ (without hands crossing over). They are normally set up without the ability to open or close them on an auxiliary hi hat stand. 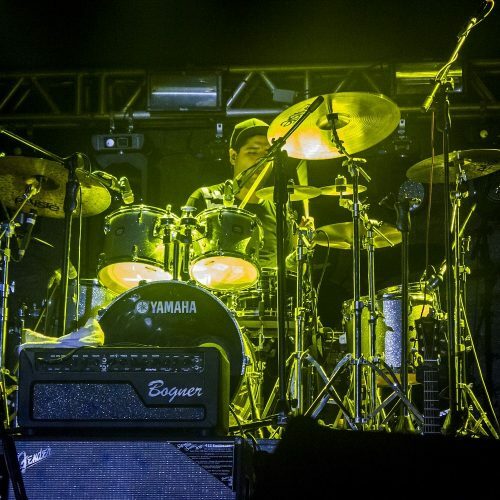 However, some drummers use a ‘remote hi hat stand’ to operate a secondary pair of hi hats within a drum set. To add multiple sonic textures within a drum set, an auxiliary set of hi hats will generally be a different size to a main pair of hi hats. A popular choice is to have 14” hi hats as a main pair and then 13” hi hats as an auxiliary set of hi hats. Whilst 13” hi hats can make suitable main hi hats, they are generally regarded as the best hi hats for a secondary pair on a drum set.